Spaghetti squash is something I’ve found myself eating quite a bit of this fall. As it’s the last day of November as I’m writing this, I felt it would be fitting to share a little autumn squash recipe before the delicious December festivities begin and the food turns to wintry flavors along with it. 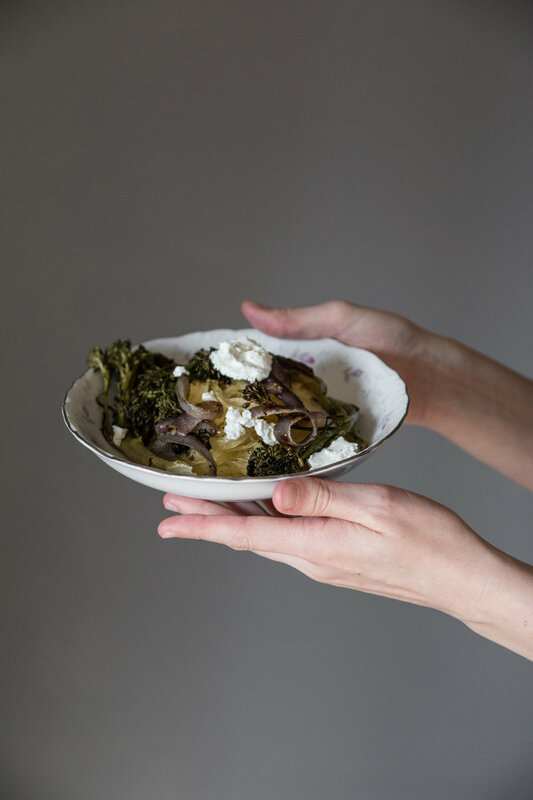 This is my current favorite way to eat spaghetti squash, healthful and vegetable-focused, with a bit of chèvre to boot. I find myself making this most on weeknights as it’s an easy, throw-everything-in-the-oven-at-once, hands-off kind of recipe. After the squash is microwaved to help it soften a bit for slicing, it's roasted right along with the broccolini and onion, meaning everything is done and warm at the same time. Only seasoned with salt and pepper and perhaps a bit of nutmeg if you wish, it’s easy to throw together in a pinch. 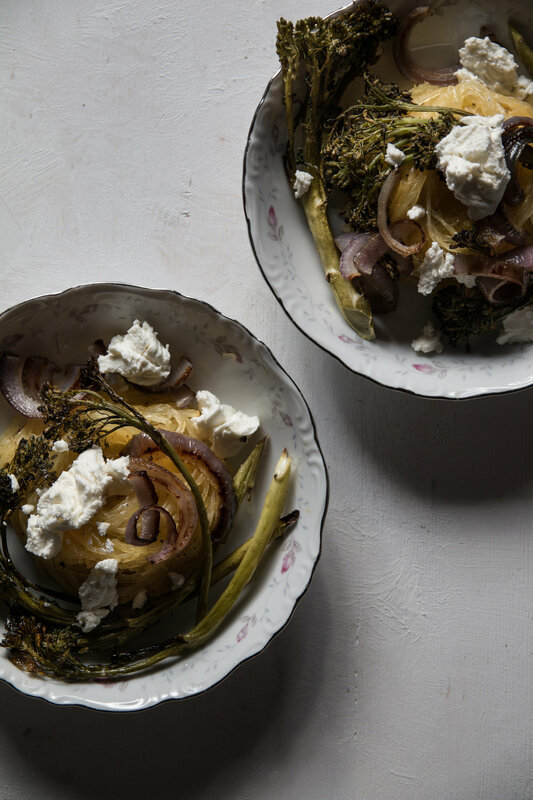 Top it with plenty of chèvre or any other cheese you have on hand and dinner is served. Prick the spaghetti squash all over with a fork. Place in the microwave for 8 minutes - this helps the squash to soften enough to cut it in half and expedite the cooking process before roasting. Slice the squash lengthwise into two pieces, scoop out the seeds, and rub with olive oil. Season with nutmeg, salt, and pepper. Place cut side down on a baking sheet. 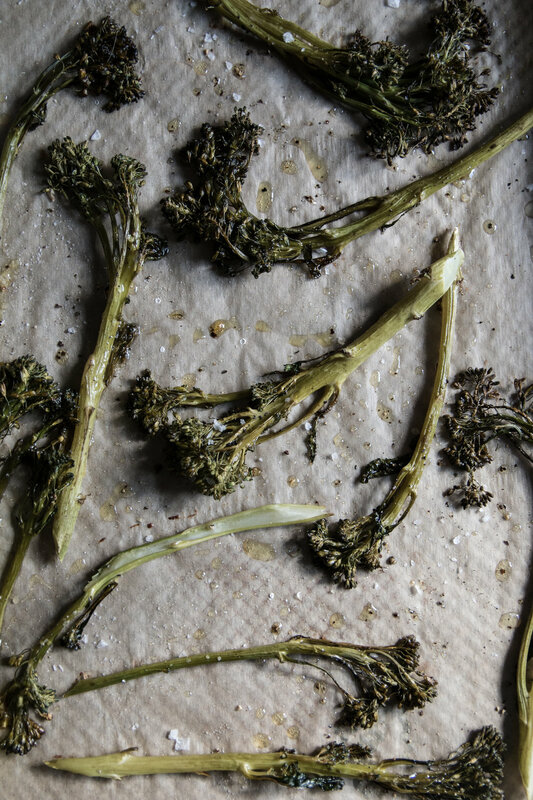 Assemble the broccolini and red onion on a separate baking sheet and drizzle generously with olive oil, tossing to coat. Season with salt and pepper. Place both the squash and the broccolini and onions in the oven and roast for 35 minutes. 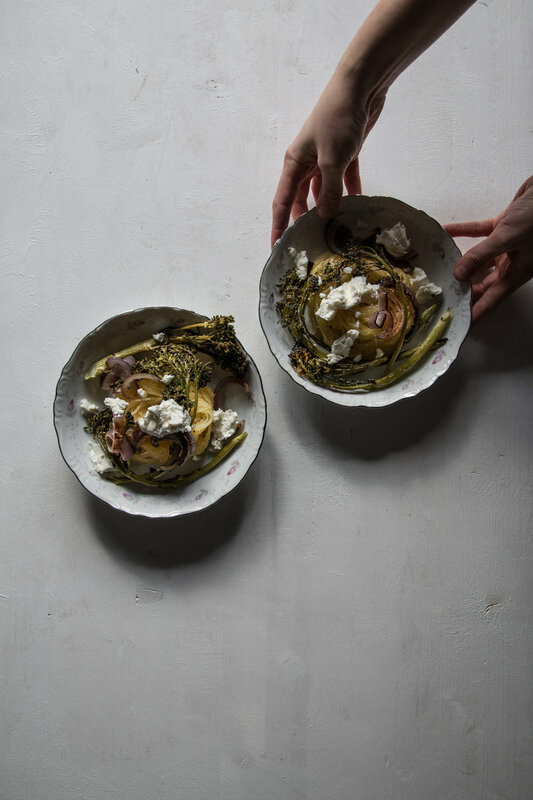 Shred the spaghetti squash and season to taste, serving with the cheese and the roasted broccolini and onions.